Each and every kid of the 90s is well acquainted with the famous cartoon seris Tom and Jerry. Why only the kids, even elders enjoyed this cat mouse chase. Tom the cat consistently pursued Jerry the mouse, and that’s how we all associate the CATS. These inexplicable creatures have more to them. Let us have a look at some of the lesser known variants of the house cats, felids or the feniles. This rare cat breed with discrete chocolate brown coat and sparkly emerald eyes is extremely fond of the human company. So much so that they often croon softly to their kind in order to get attention. Also Checkout : How Many Of These Adorable Dogs Have You Seen In Real Life? The picture says about a very prominent trait of this cat i.e. its love for water. The Turkish Van is an extremely hydrophilic cat and wouldn’t shy from taking a dip in the pool every now and then. Its lush coat feels as soft as cashmere and it is found mostly in varying shades of white. This is one of the newly discovered cat breeds. Recognized in 2012 by The International Cat Association, the Savannah is particularly known for its large, pointed ears and spotted coat. The Savannah is a mix of a various cats like Egyptian Maus, Ocicats etc and is a very intelligent breed. This magnificent cat is well recognized for its natural curls, which is a reason of ever going mutation. The LaPerm is friendly, playful and if you see it enjoying moving from drape to drape, don’t be astonished! It has a love of heights. A much look alike to the Panther, this breed with wild appearance is very easygoing. One might associate the Bombay with the famous Indian superstitious belief that if a black cat crosses your path don’t go right away or some misfortune/bad luck will be lurking on the other side. Yes fellas, this is that same ‘Black Cat’. The small, adorable cat with big button eyes is treasured in the reserves of Thailand. It is a very playful breed of cat and is extremely friendly with kids. Though, caution should be maintained with its hair, as is true for any cat. 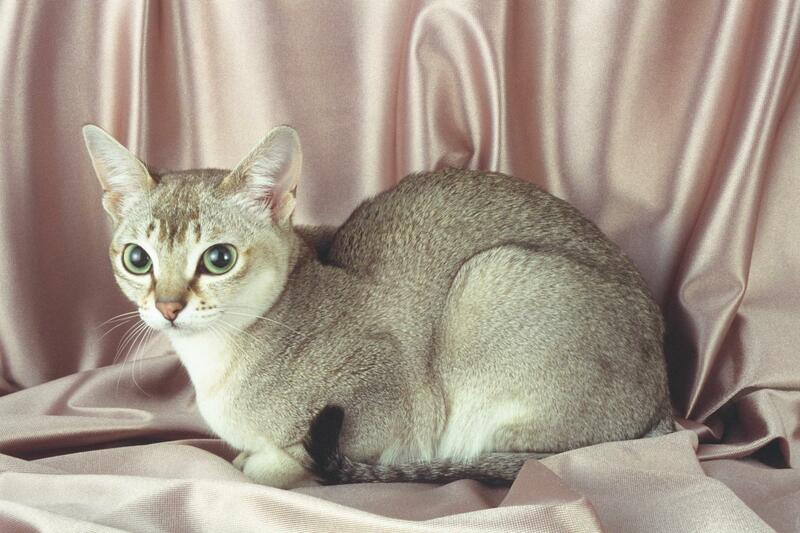 This is the longhaired variety of the breed Abyssinian. Its thick coat, large ears and bushy tail earn it the sobriquet ‘fox cat’. This exotic cat is named after the renowned poised dancers of the island of Bali, and has a thick silky coat and magnificent blue eyes. This white cat breed, which also almost resembles the Siamese, is elegance personified. The name tells one almost all about this tiny tiger. Toyger is a crossbreed between a Bengal Tiger and a domestic shorthair. This cute, furry cat is friendlier than its canine lookalike. This super curious kitty is known for its blending temperament. It likes to be involved in all the chores with its master and hates to be left out. The aesthetically pleasing Korat has symbolic significance to its heart shaped face and green eyes in Thailand, from which it hails.